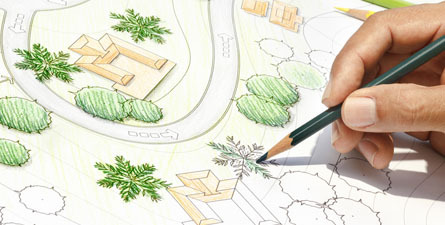 We have very experienced landscapers/designers who have designed many gardens over the years. They talk to you to see what you would like etc. 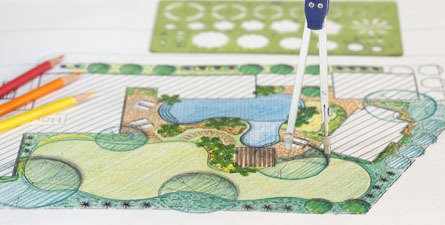 Measuring everything and then do some sketches of the design and then we get out landscapers to do the work! 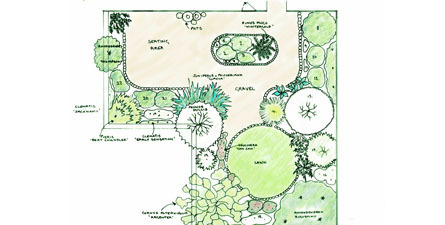 MAE Landscapes designed our garden and did it! Im glad they did because it looks great! I was really happy with the job they did and it also didnt take that long to complete. I explained to them what me and my husband would like and they came back with some designs and we picked the one and they did it! Thanks!